1+5: Haiou Zhang has long dreamt of recording the two wonderful piano concertos by Wolfgang Amadeus Mozart - K. 414 in A major and K. 415 in C major. Together with first-class string quartets of his generation (such as the vision string quartet and the Meccore String Quartet) Haiou Zhang brought the composer’s recommended version “a quattro” to the stage; this means that is a piano concerto with only string quartet accompaniment (1 + 4). In order to enrich the dynamic variety of the sound, he added a double bass; this addition increases the possibility of interpreting the score in new ways and enables the music to be enhanced by many new facets, thereby raising the music to a new level (1 + 5). With his last CD recording of Mozart’s piano concertos with the Heidelberg Symphony Orchestra under Thomas Fey, Haiou Zhang made a name for himself as a Mozart interpreter and as such is highly regarded. Because of his seriousness and modesty in dealing with the music, he benefits in that he is able to set himself apart from other new and trendy exports from his homeland. His unmistakable touch is unique and opens up a new dimension to previous Mozart interpretations. “Zhang’s technique is impeccable, but what really impresses is his unerring precision. His playing is hyper-articulated, and he extends the dynamics and phrasing to the limits of taste. While he plays like a modern piano virtuoso, what he is really doing is pushing the modern nine-foot Steinway through the same rigours as a forte pianist would have done to his instrument 240 years ago.” (John Terauds, Toronto Musical). 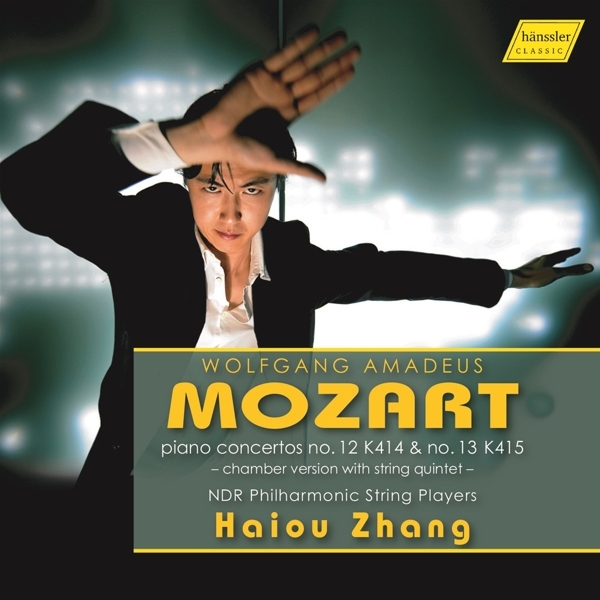 Haiou Zhang is now going on another Mozart journey with soloists of the NDR Radio Philharmonic Orchestra and they are using a format which is breaking new ground (1 + 5) Enjoy a new CD Recording of Mozart’s Piano Concertos, appearing world-wide on the hänssler CLASSIC label. Fingerprints finally became the title of my new CD album, which gives the upcoming disc quite a personal touch. Every composition is very different in style but each has the same mental flow: they are all undoubtedly my favourites. I do not see my job as just being to record a CD and then release it onto the market. Every single piece on the CD has been played as a live experience in at least 50 concerts before I get the feeling that it is ready to be recorded. This process was indispensable in order to give me the most freedom which is needed for the entire performance; it inspires me to bring sound pictures to life. Fingerprints is selected as ALBUM PICK by thefor Edition October 2017. "He can also play the most difficult of all: Mozart. After a recording with the piano concertos KV466 and 467, the new CD by the Chinese pianist Haiou Zhang on the Hänssler CLASSIC label, includes, as well as Bach, an exciting Beethoven Sonata ("Waldstein") and Ravels' "La Valse". It also contains the F major Sonata KV332 by Mozart.. It is admirably differentiated both by its decidedly dynamic form, its richness in variety of tempo and also the natural flow, without which - in playing Mozart - mannerism can quickly arise." 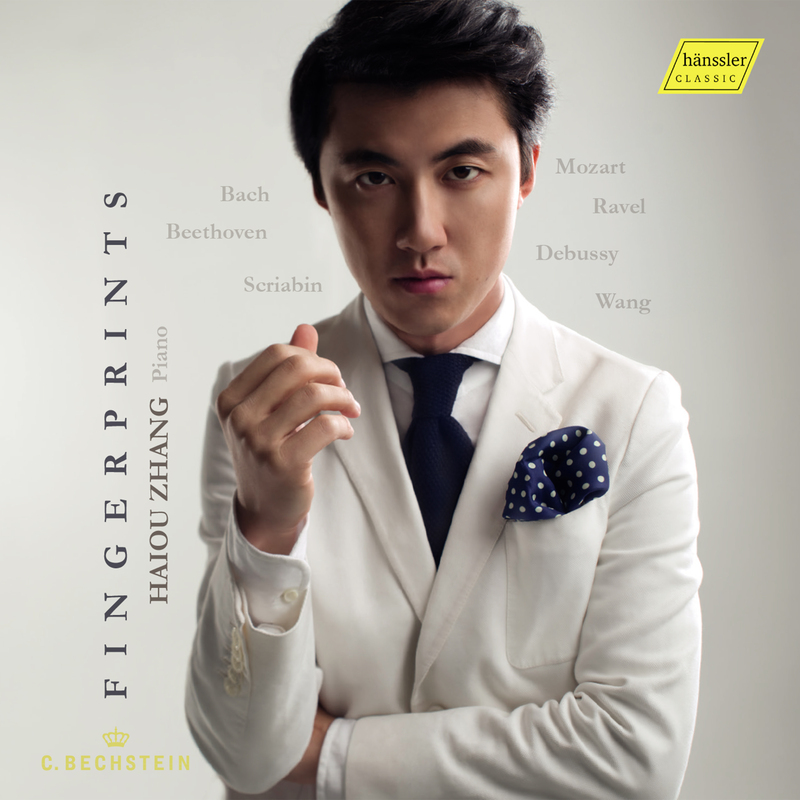 "With this recording Haiou Zhang, celebrates Liszt year in masterly and inclusive style. The B minor Sonata is at the heart of his programme and here, in music once considered technically unplayable and musically incomprehensible, he recreates a visionary masterpiece and a landmark in the history of music with exceptional grandeur and lucidity (...) Haiou Zhang is a most serious artist."